What would we do without walls? Whether it is the back wall of your trade show display, a floating wall at the threshold of your exhibit or a two-sided wall with backlit LED lights, display walls are the hero of a great trade show booth. Display walls are available in a variety of sizes to fit your space requirements. They are versatile and customizable so that your display can be different for each event. 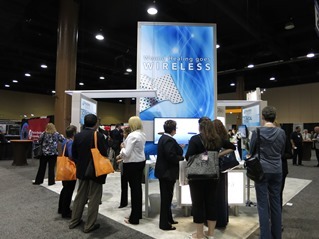 Combine your display wall with additional trade show accessories like a charging station, kiosk displays, literature stands, computer stations and sales tables for individual conversation. Create a show stopping exhibit built around the foundation of a display wall featuring your company logo, colors, and brand messaging. Display walls are available in flat or curved design with the ability to incorporate large format digital graphics that feature larger-than-life, unbroken images. The thin extrusion framing is easily hidden behind dynamic images spotlighting your company images. 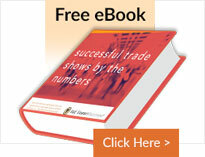 Not ready to invest in trade show displays? E&E Exhibit Solutions offers a wide range of customized exhibit rentals (in authorized states). Have a question about the right backlit display for your needs?